^Goth is a subculture (fashion, music, mind set) that is usually based around darker things. Hmm, a little. There's a lot of ゴシック styles, so I'm sure there's at least one that fits her. The dark clothes and the lipstick is the only reason I can really see it- but like I said, there are a lot of different ゴシック styles. I'm not flaming you, but why? she is just very boring and an overrated character. 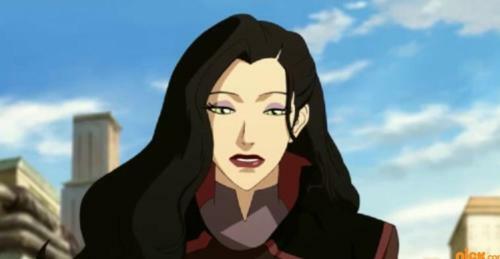 No offense, but just because Asami wears a full face of makeup....and is actually attractive, doesn't make her a goth. I don't even understand how あなた could possibly think she is goth. 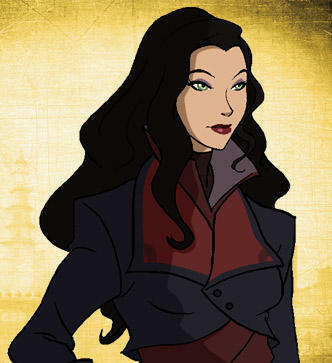 I know there are goth variations, but Asami is none of those. I don't think she's goth at all! A lot of girls wear makeup but that doesn't make her goth! 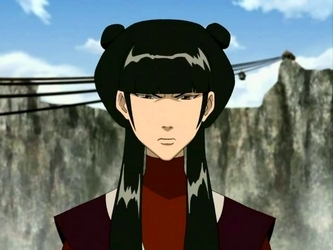 In my eyes she just has a もっと見る mature style than most characters in Avatar. She doesn't seem like the type of character to wear bright Colors（色） または frilly cloths so no, I don't think she looks goth. Agreeing- makeup doesn't mean goth. Makeup definitely doesn't mean goth.....I hate when people assume that's the reason. I know, right? At first I thought she was a bit of a Mary Sue, but now I definitely like her character- I thought it was silly that some people actually didn't like her because she wore makeup. Not really. Just because she wears make up doesn't mean she's goth.